Mikromak is pleased to announce that its Automatic Motion Analysis software WINanalyze has been selected by NASA for use in supporting the assembly and safe operation of the International Space Station (ISS). The WINanalyze Software is now being used to measure the dynamic motion of exterior appendages such as the solar arrays and thermal radiators. The WINanalyze motion analysis software had been evaluated by NASA, together with all other competing software solutions on the market. It was the extremely precise tracking within subpixel-accuracy that made WINanalyze the winner. Please refer to the full press release here. 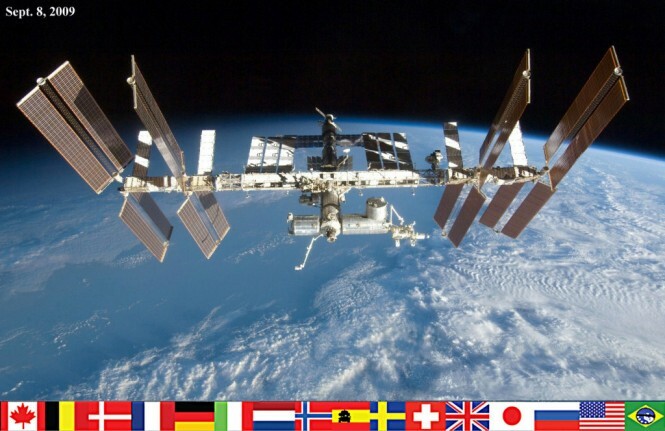 Mikromak is pleased to announce that its Automatic Motion Analysis software “WinAnalyze” has been selected by NASA for use in supporting the assembly and safe operation of the International Space Station (ISS). The WinAnalyze Software is now being used to measure the dynamic motion of exterior appendages such as the solar arrays (copper colored appendages in the image below) and thermal radiators (silver appendages). Built for operation only in space, the solar arrays and radiators cannot even be deployed on earth without breaking under their own weight. Dynamic testing is conducted in-orbit by firing propulsion thrusters to oscillate the appendages. The oscillatory response of these appendages is video recorded by cameras on the exterior of the ISS and send down to earth for analysis. The WinAnalyze software is used to track the location of the tip of the appendage in the video sequence and output its image coordinates. Combining the image coordinate data from two or more cameras allows engineers to reconstruct the 3-dimensional motion of the appendage during the test. Structural engineers extract the natural frequencies of each appendage and it’s damping rate from this 3-D data. This information is critical for safe operational planning of dynamic events such as vehicle docking and assembly operations. Periodic testing is conducted to determine if the frequency and damping rate of any appendage changes, as this would indicate a change in the structural properties of the appendage which could be a precursor to structural failure.